So its early morning, I wake-up and get ready and check out of my hotel and make my way into the city for breakfast. I am quite excited as I am getting to catch-up with a great mate of mine on this crisp chilly morning. He lived in Sydney but now is a resident Melbourne man about town (he moved here about a year ago)! 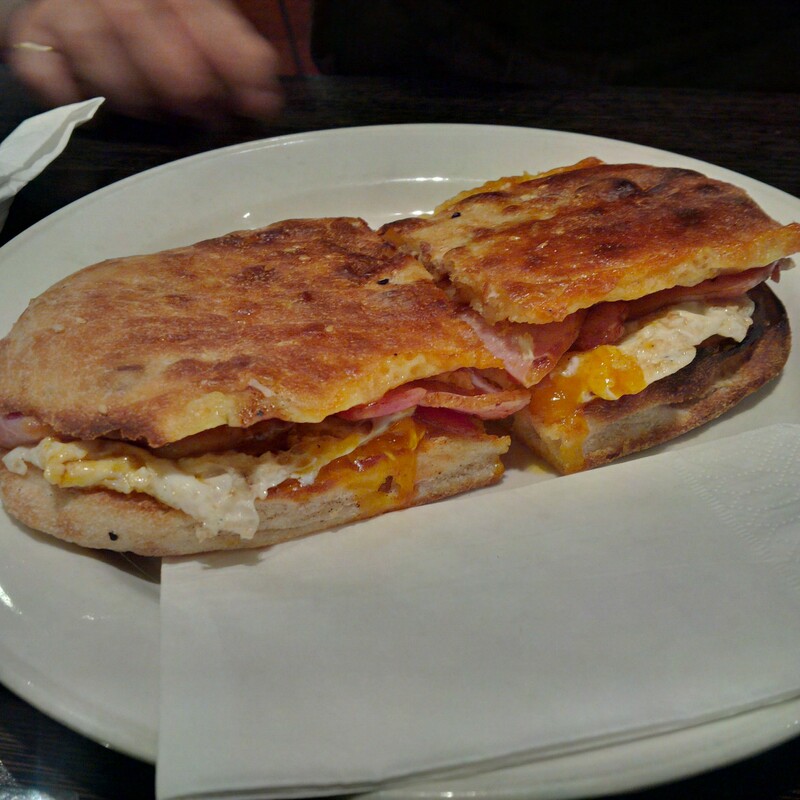 We meet outside the plush entrance of the Grand Hyatt and head for a lovely breakfast on Flinders street. We decide on Cafe Kinetic. 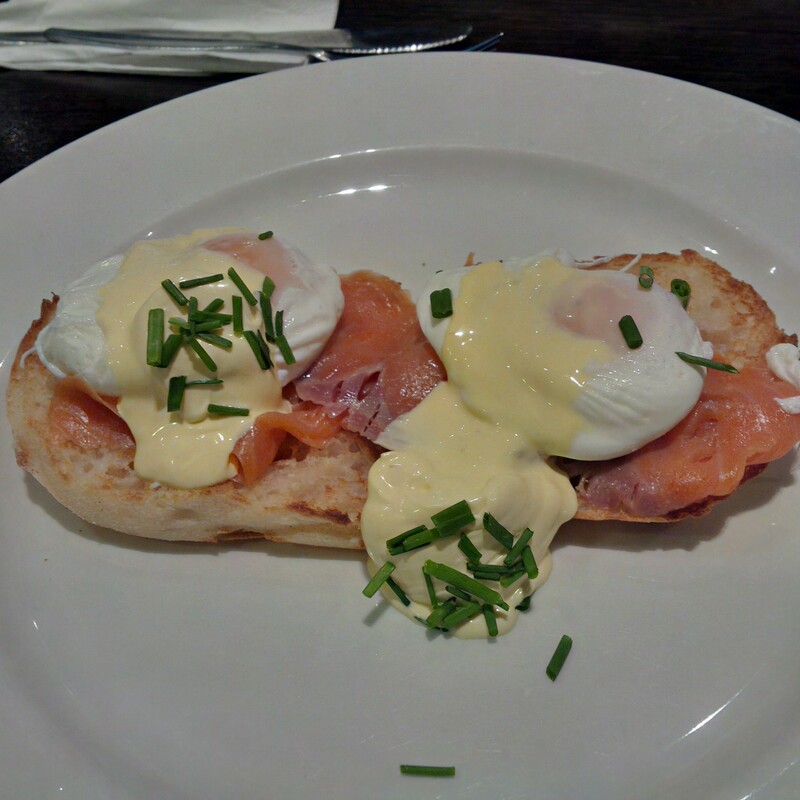 The breakfast at this place is good and the coffee does meets basic expectations…I always love my Eggs Royale (similar to the one I had in the Concorde Room – see review here) and it certainly does prove to be decadent. The rich oily salmon and the creamy hollandaise sauce combine on crunchy Turkish toast to give you a satisfying breakfast experience. We have an amazing chat, catch-up on old times… so long overdue! Sadly time escapes us and our little reunion is over – we bid adieu and head our separate ways… noting that we will catch-up soon! So I finish most of my work for the day and have to head back to the hotel to drop-off something before meeting someone post their morning shopping spree! We decide to roam the city… I tell her about this amazing hot chocolate (traditional Italian style) which I first tried back in 2004. 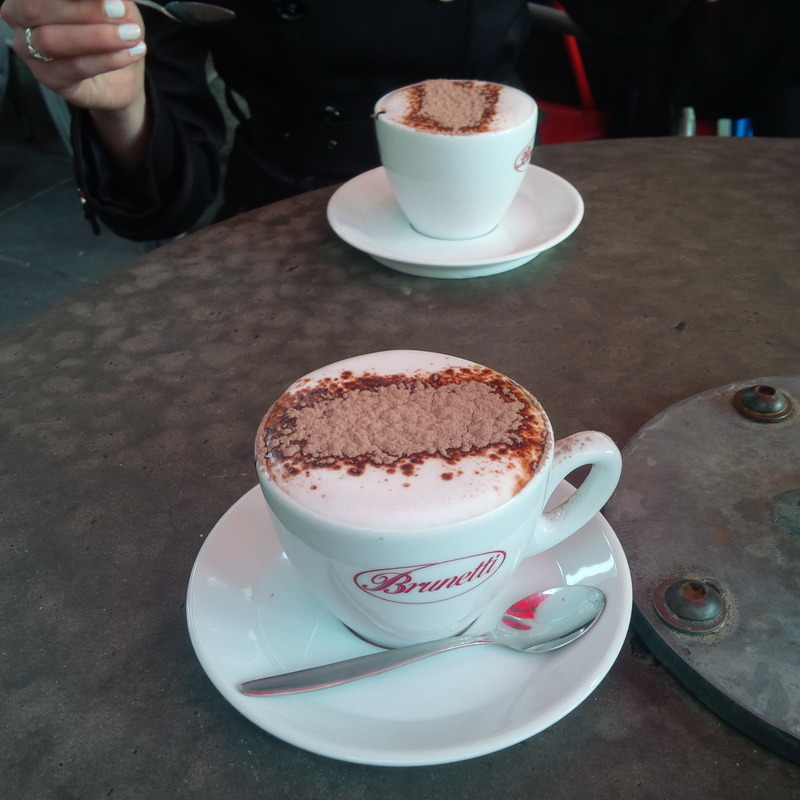 So we head over to Brunetti on Swanston St (a classic). Just think thick hot chocolate which pure cocoa flavour rushing through your taste buds! The crisp chill of the Melbourne day makes the hot chocolate that much more rewarding. When we finish our hot chocolate we head off to Lunch… We go to The Italian Restaurant. This place is the home of Melbourne power dining. It has clockwork service, high vault style ceilings, plush red leather booths and is situated in 101 Collins st, the home of the large investment banks and blue blood law firms. 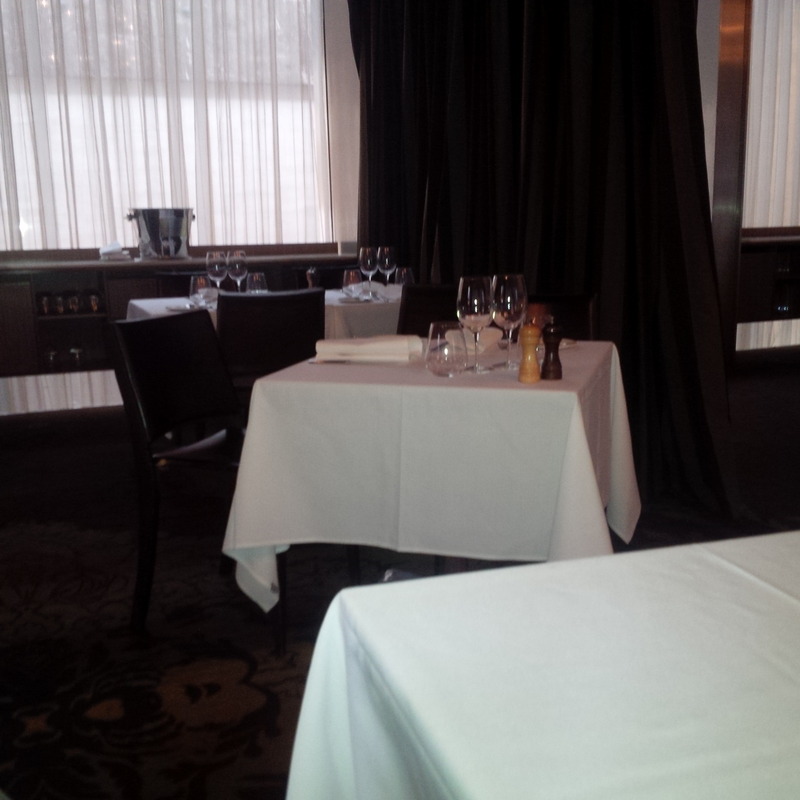 The restaurant caters to the best of the best (it’s a bit like New York’s Four Seasons – which reviewed last year). 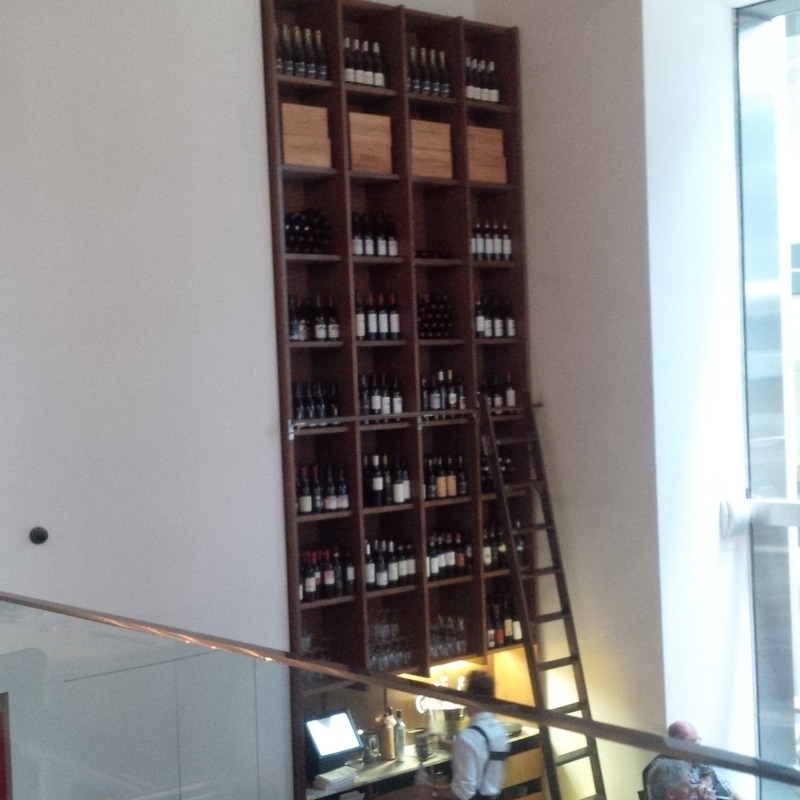 Thankfully we get a seat in the best section of the restaurant where I can gaze longingly at their beautiful wine cellar. The tender medium rare beef fillet is full of lovely flavoursome juices encased in the smoky outer crust. The soft polenta adds some additional texture and complements the dish. It’s amazing. My dining companion has a lovely risotto which she finds filling and her feedback indicates the dish was well done. The charred onions and crunchy pine nuts are mixed amongst beautifully roasted cauliflower with smoky outer skin and lovely firmness on the inside. It’s a stand out of side dishes. The crisp “breakaway” coating of the chips which house the soft moist potato on the inside is simply the definition of comfort food. For wine… we opt to go for glasses instead of a bottle. We choose a Chianti (which was the most expensive of the glasses on the menu – but so worth it). 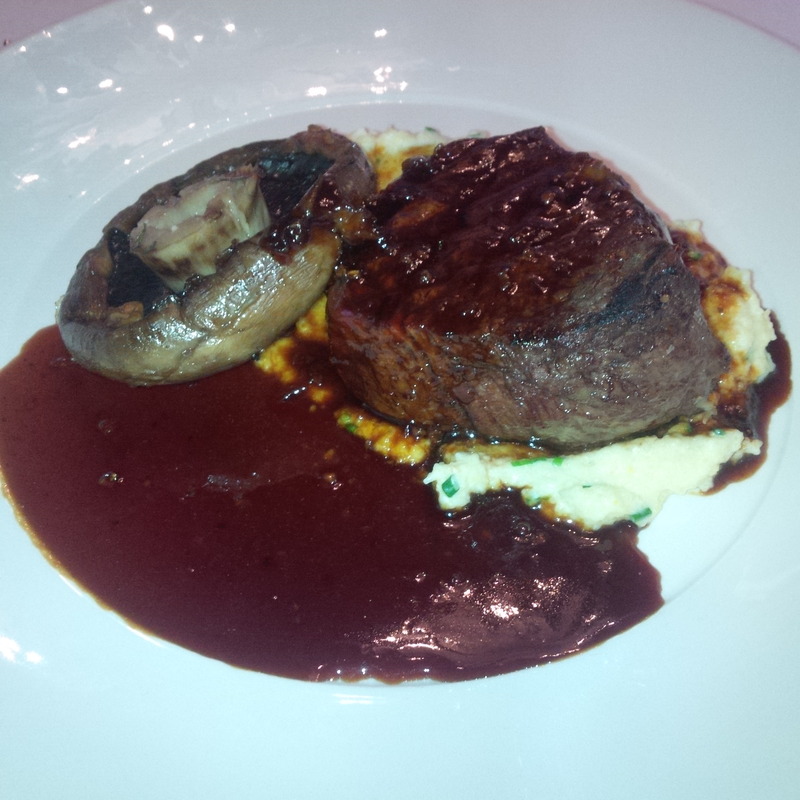 It was the Ruffino Chianti which had a rather intense taste with the right tannin structure to match the fruitiness. The wine was refreshing with lovely taste of cherries and blueberries lingering to provide a lovely tasting experience. Overall… it’s an amazing lunch. Beautiful food, quality wine, great company and of course the old school charm of a Melbourne institution. Unfortunately our time Melbourne is at end and we both need to head back to Sydney! 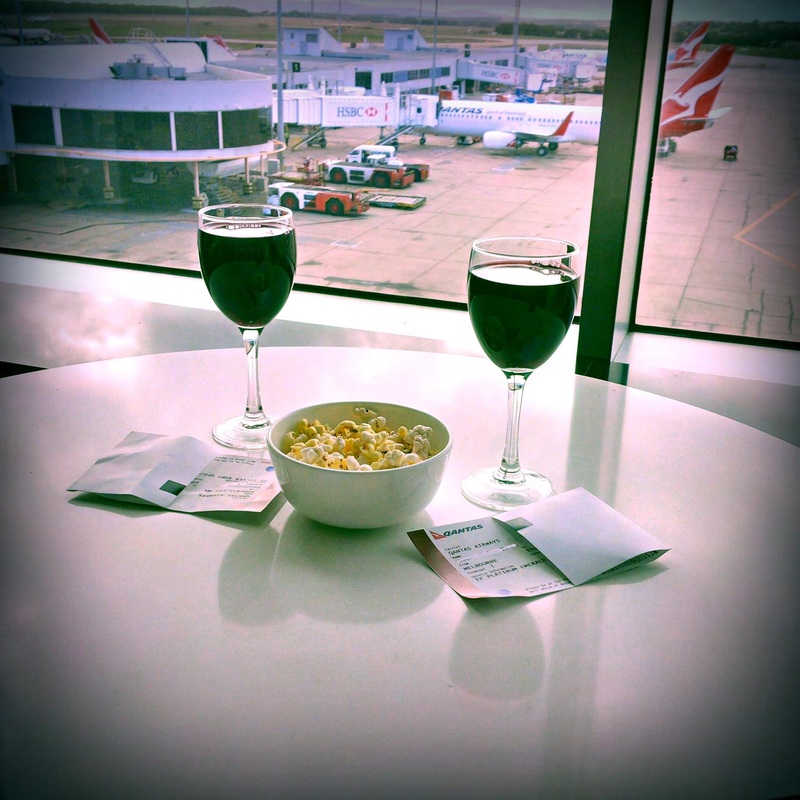 We share a taxi and soon find ourselves parked in a plush Qantas Business Lounge having some light popcorn, a Cherry and Almond Tart and some amazing wine… how good is the view of the tarmac! Now for my favourite part the time in sky… it’s only an hour but I just love it. 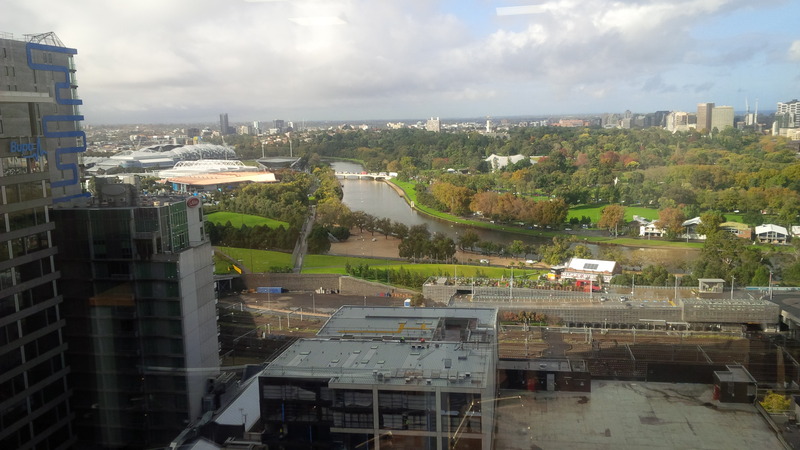 Melbourne was amazing…but the sky is where I belong. The plane lands in Sydney Airport… it’s sad! Why do plane trips come to an end?